South Korea's defense ministry on Monday renewed its calls for Japan to stop an "inappropriate media campaign" over a military radar dispute, with Tokyo poised to reveal fresh evidence that is likely to aggravate tensions. Japan's defense ministry plans to announce its "final view" on the dispute later in the day and disclose a recording of a sound made when its maritime patrol aircraft detected radar signals, to back up its claim that a South Korean warship directed its fire-control radar at the plane on Dec. 20. Seoul officials, however, said that the sound alone from the plane's radar warning receiver cannot verify whether it was made due to the targeting radar Tokyo says was used against its plane. "We believe that it is not appropriate for Tokyo to carry out the inappropriate media campaign in order to divert attention from the international opinion unfavorable to Japan," Choi Hyun-soo, the spokeswoman of Seoul's defense ministry, said during a regular press briefing. 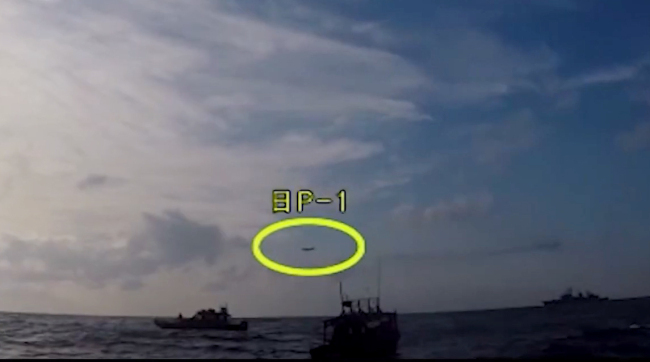 Choi repeated that Tokyo should offer "accurate information" on the time, location and angle regarding the operation of the tracking radar it claims was used during the incident. "Our government believes that rather than resorting to the media campaign, Japan should offer accurate evidence, which will be subject to scientific and objective verification in the presence of experts from both countries," Choi said. Over the past month, Seoul has argued that its warship did not target the Japanese plane with its tracking radar, and that it was on a humanitarian mission to rescue a North Korean fishing boat adrift in the overlapping exclusive economic zones of South Korea and Japan.